INDIANAPOLIS – When Gov. Mike Pence threw down the gauntlet and said Indiana would not comply with the Environmental Protection Agency’s Clean Power Plan, he says he was standing up for Indiana’s economy. But he was also standing with big political donors – utilities and coal companies. Indiana utility companies and related political action committees have given more than $160,000 to Pence’s gubernatorial campaign committee and a huge $1.7 million to the Indiana Economic Development Corp. Foundation. Coal companies kicked in an additional $91,000 to the campaign war chest. Those numbers don’t include donations from individuals in the mining and energy field, including a $25,000 contribution from a Texas man in August. And it was utility executives next to Pence in a corporate suite at a New York Yankees game last month during an economic development trip. Five utility representatives are traveling with the governor this weekend to Japan on his latest trade mission. But Pence sees nothing wrong with the close relationship, noting that he rejected drastic measures to reduce carbon pollution from power plants when he was in Congress and is continuing that as governor. "I’m very grateful for all the companies and interests that support our economic development efforts," Pence told The Journal Gazette. "This is a position that I had in my last job and a position I have today. "I think the answer to Indiana’s energy needs is an all-of-the-above strategy – continuing to utilize fossil fuels in an environmentally responsible way, developing renewable (energy), and I’m a fan of nuclear power," he said. Andrew Downs, IPFW associate professor of political science, said the situation is akin to the chicken and the egg. Which came first – the donations rewarding an existing policy position or the policy position rewarding the donations? "It could be that the entities truly just have like minds on certain issues," he said. "I think the public should always pay attention to who is giving money, especially when it gets into larger figures. A couple hundred thousand dollars is a drop in the bucket to them, but to most people, it’s real money. "This requires that voters are paying attention over an expanded period of time." The topic at hand is the EPA’s Clean Power Plan and its potential impact on existing coal-fired power plants and on Indiana consumers and businesses. It will no doubt be an issue in the 2016 governor’s race, as Pence’s campaign has quiet­ly pushed Democratic opponent John Gregg – a longtime coal advocate – to state his position. Gregg would take a different approach but doesn’t disagree on the possible consequences of the rule. The plan sets goals for states to cut carbon pollution that is driving climate change, and it shows the world that the United States is committed to leading global efforts to address climate change, according to the EPA. For Indiana – which gets about 85 percent of its electricity from coal – it could mean that a substantial number of coal-fired plants would have to be shut down to comply with the rule. And when utility companies invest in other technologies, that money can and will be recouped through higher electric rates for residents and industry. Pence signaled in a June letter to President Barack Obama that unless changes were made to the proposed rules, Indiana would not comply. He reiterated that stance in August when the final rule was released – and the carbon goals were even higher. Once the rule is formally published, next up is a lawsuit. "Indiana’s really in a position that we’re having to evaluate how we go forward. My position is we are still reviewing the rule and its implications," Pence said. "But I really do believe this is an example of overreach by the EPA and that going to court and seeking remedies will have a positive outcome." He said Indiana is a proud, pro-coal state with 26,000 directly related jobs, and the rule threatens those jobs and the reliably affordable electric rates that entice businesses to settle in Indiana. "This is about ratepayers and homeowners and jobs," Pence said. "We see (the Obama) administration using rule-making powers to impose a cap-and-trade scheme on the country, even though Congress rejected it." Pence and Gregg seem to agree that the rule could be devastating for Indiana. But Gregg said he is a pragmatist on the topic. He accepts that the rule is coming and believes Indiana has to deal with it in a way that balances economic and environmental interests. He said he would work with the EPA on flexibility to phase in the rule and plan for a longer transition period. Gregg says he doesn’t know exactly which is better right now – a default federal plan to reach the goals or a state-crafted plan. "Through negotiations, you would find which would be the best way to go," he said. "Gov. Pence hasn’t provided leadership. He just threw a temper tantrum." Kerwin Olson, executive director for Citizens Action Coalition, said Indiana’s reliance on coal won’t disappear overnight. But it’s time to diversify for the sake of the environment. The coalition regularly advocates on energy policy, utility reform and prevention pollution. Olson isn’t surprised by the money going to Pence. "Utilities have always been big contributors at the State­house," Olson said. "In order to maintain favorable reg­u­latory conditions, you have to shake hands and make friends." He said he thinks opposition to the plan is foolish. Indiana was already moving in the right direction with investments in efficiency, wind and solar and had significantly reduced its greenhouse gas footprint. Olson thinks the state should act similarly to how it did with the Affordable Care Act – come up with its own reduction plan before the federal government imposes one that isn’t fair or that forces Indiana to buy emission allowances from another state in order to maintain business as usual. He thinks most of the talk now is simply rhetoric; the state doesn’t have to submit anything until at least 2018. "It’s just a political football," Olson said. 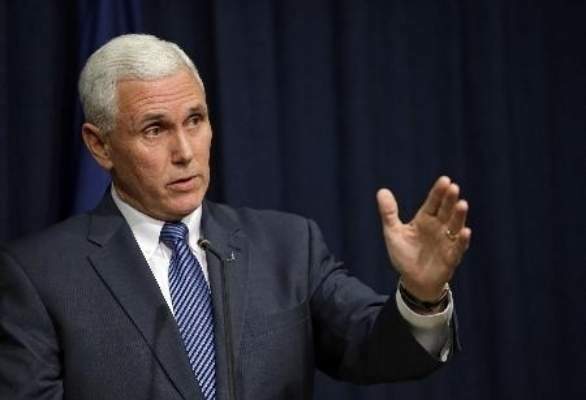 Mark Maassel, president of the Indiana Energy Asso­ci­a­tion representing ­investor-owned utilities in the state, said he is pleased to see Pence challenge the rule. He listed numerous ways in which Indiana utilities have diversified their mix of electric power, and he said the new goals would require further investments. "The customer is always the one who ends up with the bill," Maassel said. An estimate under the initial draft was that Indiana electricity rates would rise 14 percent a year above where they would be without the Clean Power Plan. That could be even higher, Maassel said, under the final rule – though no analysis has been released. He also said utilities in Indiana have always worked with the sitting governor, Democrat or Republican, and supporting the IEDC isn’t new. "This isn’t just about the Clean Power Plan," Maassel said. "This is to advance Indiana and support all of our customers with reliable, cost-effective electricity."